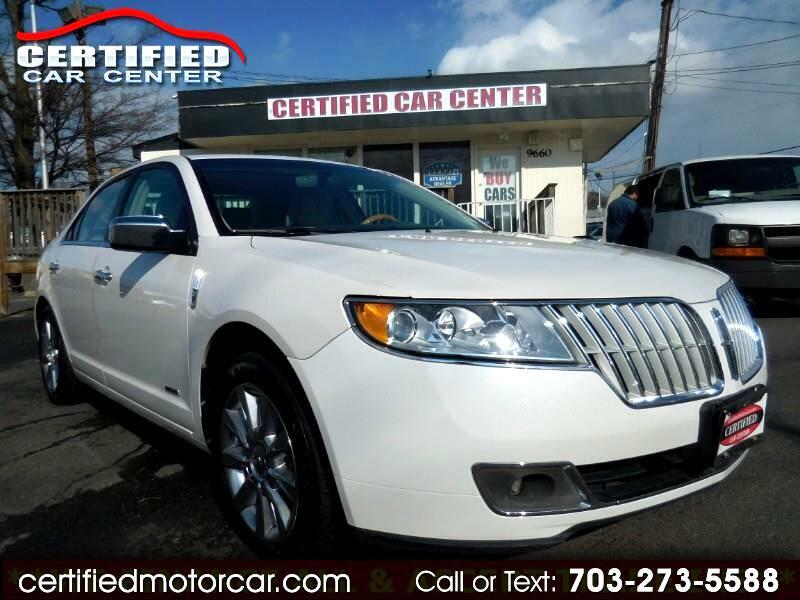 2012 LINCOLN MKZ HYBRID FULLY LOADED WHITE ON BEIGE FOR $9965+$395 PROCESSING FEE BACKED BY 90 DAY WARRANTY, NEW VA INSPECTION, NEW OIL CHANGE LOADED WITH; **NAVIGATION**, **BACKUP CAMERA**, **LEATHER**, **SUNROOF**, **BLUETOOTH**, **COLD/HOT WEATHER PACKAGE**, **XENON HEAD LIGHTS** **PREMIUM SOUND SYSTEM**, **AUX JACK**, **WARRANTY**, **ALL POWER OPTIONS**, AND MORE. VA INSPECTED, CARFAX CERTIFIED, AND BAKED BY WARRANTY AT OUR FIRM ASKING PRICE PLUS $395 PROCESSING FEE. Internet Prices are based on cash or cashier's check. Our Internet price does not include a $395 Processing fee, Tags, title and FINANCE FEES!